Introducing the first complete fermented protein made from Greek yogurt! More than just words, this is Genuine Health’s truth. You may be surprised. You may not recognize that as being who this amazing company is. But it is and always has been. They’ve come to the realization that their greatest ambition is to be who they already are. Like you, they are driven by relentless curiosity. They are seekers for a better way. This passion has fueled their mission to be leaders, to be instigators of change. They know there is a better way and they will stop at nothing to uncover it. To attain the ultimate truth, the ultimate knowledge, which will serve the ultimate purpose: to change the way people are nourished. They believe every human being not only deserves this, but can also achieve it. There is a better way and it is within your power. G enuine Health is Possible! Genuine Health’s Founder, Stewart Brown Stewart’s passion for Natural Health started early in life when he suffered with health issues and found solutions through holistic modalities and supplements. Experiencing the benefits of natural approaches first-hand sparked his desire to learn more, and he began his career as a Sales Rep in Western Canada selling food and skincare items for his father’s Natural Food business. Stewart spent 5 years in Western Canada learning the ropes before returning Toronto, inspired to expand his reach in helping people by opening up his own chain of Natural Supplement Stores: Supplements Plus. His first store opened in 1986 on Church Street and marks where Stewart’s vision really began to take shape. Not long after his store opened, the AIDS crisis hit, and Supplements Plus was located at the epicentre of the epidemic. Stewart offered help and hope, through adjunct therapies and products to counter side effects from HIV and AIDS treatment medications, working closely with the AIDS Community of Toronto to set up complementary clinics for sufferers of the disease. His open doors and caring nature offered support that was scarce at the time for people suffering with an incredibly stigmatized disease. T his desire for change continued to flourish as Stewart worked alongside the Canadian College of Naturopathic Medicine in setting up their first dispensary, and donating all the profits back to the College to help in the training of student Naturopaths. In 2001 Stewart received an honorary Naturopathic degree from the College in recognition of these contributions. It was also during his time at Supplements Plus that Stewart met Sam Graci, formulator of the now famous greens. Health store aisles at that time were lined with single vitamins and minerals, and greens was the first complete formula rich in phytonutrients that taught people to truly nourish the body. Stewart began selling greens in his stores in 1993 and after seeing the effects it had on himself and his customers, he knew he had to do more to bring the formula to all Canadians. In 1995 Stewart sold his chain of 3 Supplements Plus stores and started what became Genuine Health, distributing greens all over Canada. Almost 25 years have passed since these two revolutionaries set out to change the way people viewed supplementation, and greens continues to improve the health of Canadians every day! At the heart of what drives Stewart’s ongoing work is his commitment to original research, validation of formulas and credibility within the natural health industry. The most important thing is that the products he puts out make a difference in the lives of consumers, a value that extends back to his days at Supplements Plus where he witnessed first-hand the dichotomy of some people using natural products for curiosity, and others depending on them for survival. Products that genuinely help people is the cornerstone of what Stewart and Genuine Health stands for. They use only pure, natural ingredients General Health’s criteria for every ingredient in each of their formulas is constant: It must be pure and natural, research-proven, safe and effective. They are so proud of formulations and the results people get that they want everyone to know about it. They are also proud of what their formulas do not contain, such as: artificial colours, flavours, sweeteners or preservatives, corn, dairy, egg, gluten, yeast, GMO or animal products. At Genuine Health, they use only the purest, highest quality ingredients in all of their formulas, sourced from natural, sustainable sources. How do they do it? For starters, they begin with the latest scientific research pertaining to health and the issues that matter to you most. Genuine Health’s products are developed and formulated based on published research and proven scientific studies by renowned health professionals, in conjunction with their on-staff product development team, which includes leading naturopathic doctors, nutritional researchers, scientists and performance fitness experts. They then search the world for the purest ingredients, from earth-friendly sources. When it comes to ingredient sourcing, they are non-discriminatory. The most important thing to them is to ensure that they are using the most efficacious ingredients that they can find, so that you can feel the difference each and every time you take a Genuine Health product. To ensure this, they engage in multiple types of testing to ensure that clean, pure, and active ingredients are present in their products. Next, they subject their formulas to the strictest quality assurance testing to ensure each and every formula is above industry standard. Genuine Health’s manufacturing facilities follow the strictest Quality Control procedures and have either a current Natural Products License or Drug Establishment License, while following GMP (Good Manufacturing Practices). Last but not least, they work with leading health and supplement stores for their support and education, in order to exceed your needs and expectations. Genuine Health knows the search for the right supplements can be confusing. So how do you choose? At Genuine Health, they work together with their retailers because it is their support, understanding and education that is key to your health. Genuine Health’s Total Quality Obligation guarantees your satisfaction, or your money back. To issue you a full refund for the product you purchased, they require your original receipt and product label. If you no longer have your original receipt, they are happy to offer an exchange for a product of equal value, for this they require the label from your product. This is a one-time offer to provide customers with the opportunity to try a product with confidence. They do not refund or exchange expired products. For more information please contact us. Genuine Health Believes in a Healthy, Peaceful Planet Reducing their environmental footprint is a top priority. Inside each of their products you will find only the purest ingredients from sustainable, earth-friendly sources including the wild, fish oils in their o3mega line. They’ve also switched their energy provider to a green company, reduced their paper usage, and increased their use of recycled materials. But it doesn’t end there. To symbolize these and their on-going efforts, they established Genuine planet for a cleaner, healthier planet, both locally and globally. All of Genuine Health’s formulas are backed by leading research and contain only clinically proven ingredients in clinically proven dosages, based on reputable published studies. They accomplish this with help from their panel of esteemed health experts, including nutritional researchers and doctors of natural and traditional medicine. 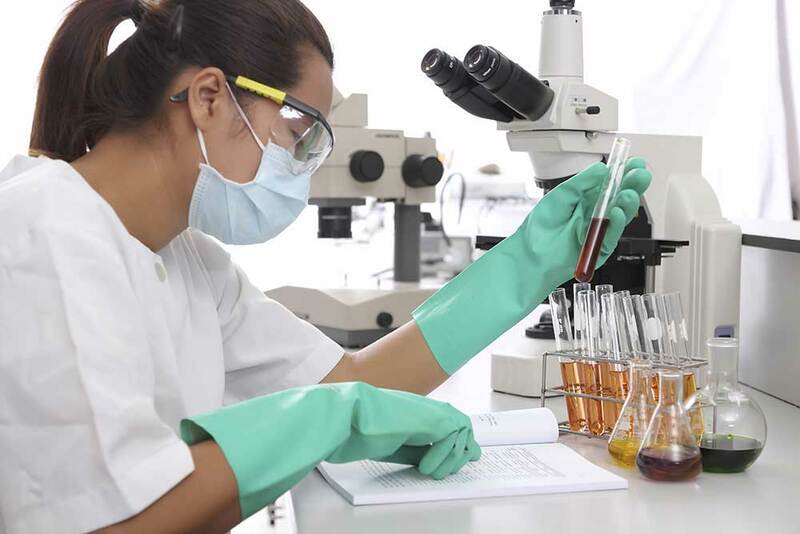 They also work with renowned scientists and professionals at leading institutions to test many of their products with published results available.